Designed for demanding military applications, these Sunkye Nano d-sub connectors to MIL-DTL-32139 have precision, gold plated, twist pin contacts on a nominal 0.64mm (0.025″) pitch. Standard d-sub connectors to MIL-DTL-24308 are built using an 0.100″ pitch, but increasingly this footprint does not fulfill today’s military or advanced electronics system specifications for weight and space. Therefore, as well as Micro D-sub connectors with their 0.050″ pitch, In2Connect now offers a wide range of twist pin, Nano ‘D’ subminiature connectors with an 0.025″ pitch: plugs and sockets, in 9, 15, 21, 25, 31, 37, 51 and 69 ways for termination on printed circuit boards or attached to cable assemblies. Ideal for mission critical applications like aerospace, aviation, electronic, and military communications, these connectors are militarily unique because of requirements to operate satisfactorily under sinusoidal vibrations of 10 to 2000 Hz at up to 20 g’s. Sunkye twist-pin Nanominiature d-subs meet the most demanding requirements. Twist pin contacts. Available with up to 69 contacts. 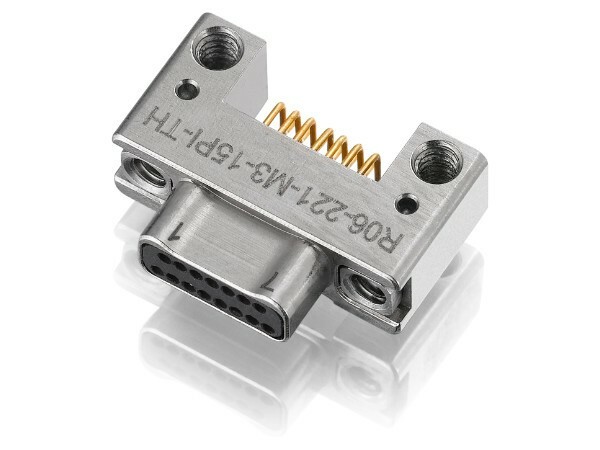 Soldered to wire – to suit all your Nano-d type connector applications. Robust and shielded – for enhanced electrical continuity and effective EMI/RFI shielding. These rectangular shaped connectors for board-level In/Out applications have an accepted 0.64mm (0.025″) pitch but Sunkye can make a 0.381mm pitch. The Sunkye 0.381mm (0.015″) connector is arguably the most flexible, diverse and best performing Nano-D connector available, and offers the ultimate small form factor connector solution for the most demanding spaces. Because of their 10 strand BeCu, male twist pin contacts these connectors have a low electrical transfer resistance (due to the ‘birdcage’ shape providing multiple points of contact with the mating socket) and can therefore achieve high mating cycles and resistance to shock and vibration. Male and female d-sub connectors fit more precisely together and give a more reliable, gas-tight connection with more tolerance to vibration. Nano D-subs offer many times the contact density of a Standard D-sub layout whilst, by virtue of the shell design, maintaining the D sub connector’s inbuilt polarisation. Nano D-subs meet the performance requirements of MIL-DTL-32139 which is the United States Department of Defense Logistics Agency’s detailed specification controlling dimensions, materials, performance and test regimes. Sunkye R06 Series Microminiature Rectangular Connectors have Plastic, Aluminium or Stainless Steel bodies. For over 60 years, Sunkye has been a specialist in the design, manufacture and supply of high performance connectors to the world commercial and military aerospace manufacturers: various naval, land and air systems and other applications and is now ISO 9001, UL, VDE and CE certified. In2Connect stock product from Sunkye.